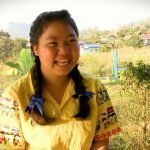 PCF | How do we help improve the health of the people we support? Would you ever consider building a girls-only toilet in your school as a vital part of maintaining good health? Or having to study in a school building that is falling down around you? Yet these are real concerns for millions of children around the world. Health can describe many aspects of life that you might not immediately consider to be a part of your overall health. While most of our projects are not primarily considered to be “health” projects, most of them do touch on one or more wide-ranging facets of health in some way. These can range from having access to safe, sanitary toilet facilities and clean water, to providing nutritional school lunches for preschoolers, to ensuring schoolchildren continue to have a safe environment where they can attend classes. One of the most direct threats to children’s health comes from water-borne diseases carried by unclean water and/or caught from unhygienic sanitation facilities or practices. These can greatly affect those unlucky enough to lack access to safe sanitation, often leading to serious illness or even death. 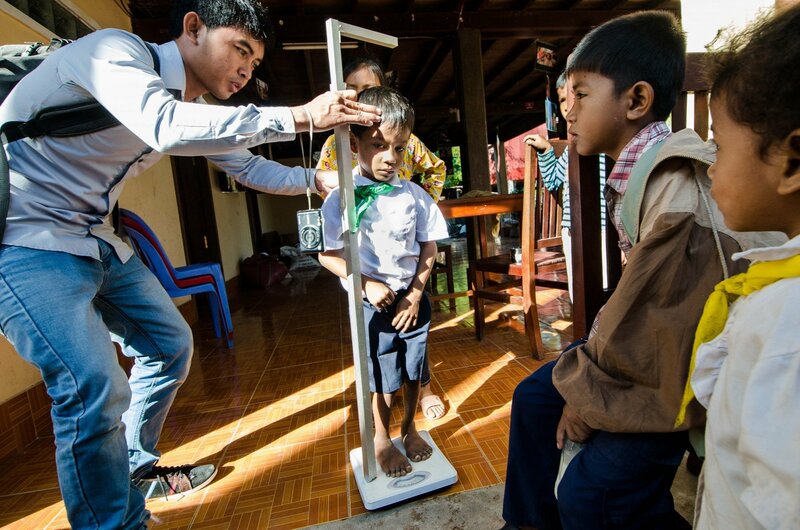 To remedy this, we’ve helped our partner KAKO to build more than 150 toilets, therefore bringing safe sanitation facilities to more than 1200 people in rural Cambodian communities. 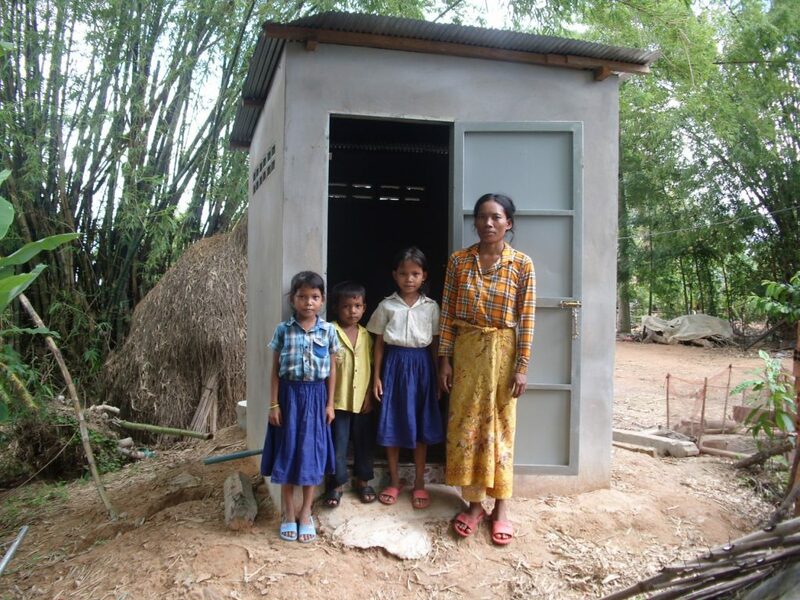 Cambodian family with their new toilet built by KAKO. Another childhood factor that can affect someone for the rest of their lives is a lack of sufficient nutrition. Even if children receive enough food, they still might be lacking balanced nutritional value from the food that they eat. 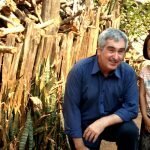 This has a much larger indirect effect as the biggest risk factors for disease are malnutrition and diet, to the point where malnutrition has caused a significant public health problem in every country in the world. One of the ways we support adequate childhood nutrition is by supporting our partner orgnaisation KAKO’s preschools, which provide daily soy milk and fruit as snacks and added nutrients for their students. 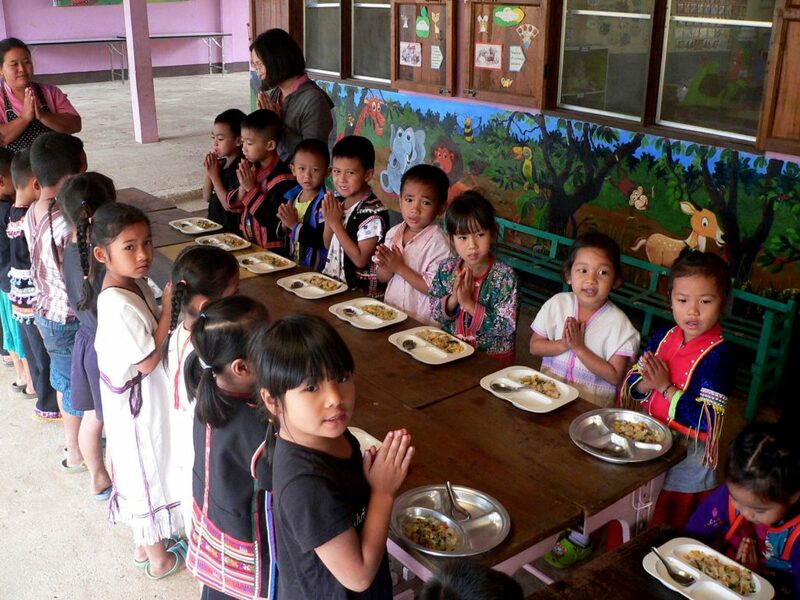 Another simple but invaluable example is Baan Pha Lai school where we support school lunches for the kindergartners, who otherwise would not be able to eat lunch. Students at Baan Pha Lai school prepare for lunch, February 2018. How does your environment affect your health? A slippery staircase can cause injuries, as can a wooden building full of splinters that also happens to have a leaking roof. 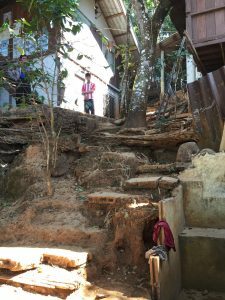 Tomato Village Learning Center needed their staircase fixed before any of the students slipped and seriously injured themselves on it, so we found a sponsor to support the construction costs. 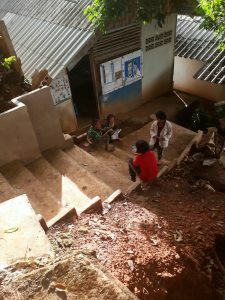 It was the entire school building itself at Kone Myint Thar Yor school that needed replaced, but now the students have a safe, healthy environment where they no longer get sick from a leaky roof during the rainy season. 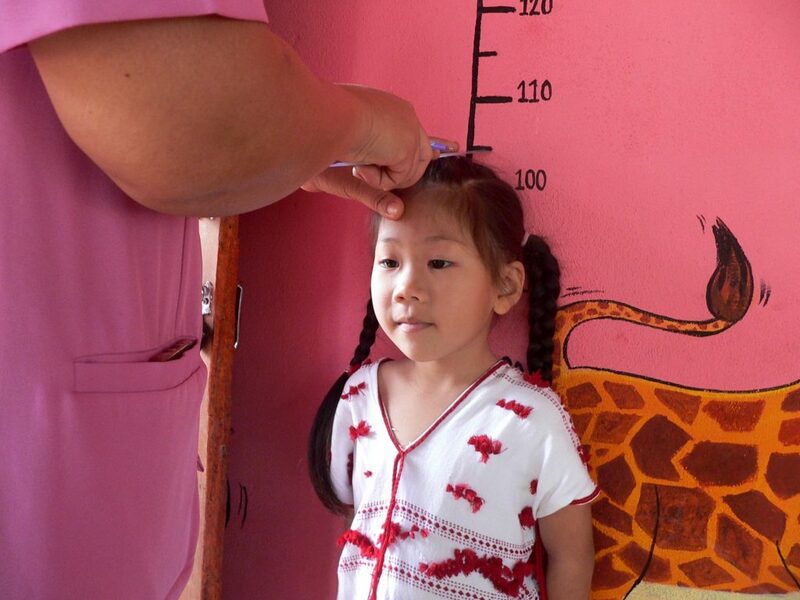 While few of the projects we support deal with health and healthcare directly, most of them do indirectly contribute to the improved health of members of impoverished communities. The effect is even greater since we often provide better nutrition and health for children, which benefits them for the rest of their lives. Sometimes all it takes is a small fix to have huge results.